The title says it all. 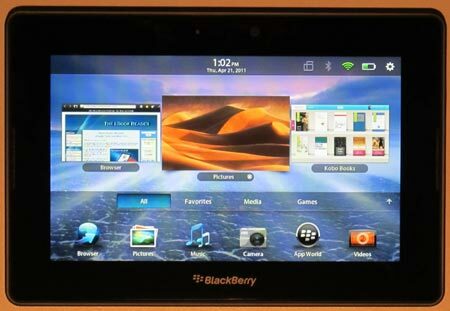 Here’s the link to the Blakberry PlayBook review. I was holding off on posting the review because I was hoping RIM would release some new apps and features, but it has been 3 weeks now and it doesn’t look anything big is coming along anytime soon, other than a Facebook app and video chat app that are supposed to be made available later this month. There’s also news of a possible 10″ PlayBook coming along later this year, so that will definitely keep things interesting.